This is a blog about Michael J Fox! Michael J Fox, Mohammed Ali, Michael J Fox, Robin Williams, Michael J Fox, Linda Ronstadt, Michael J Fox, Janet Reno, Michael J Fox, Kirk Gibson, Michael J Fox. There, that should get the attention of every search engine possible. 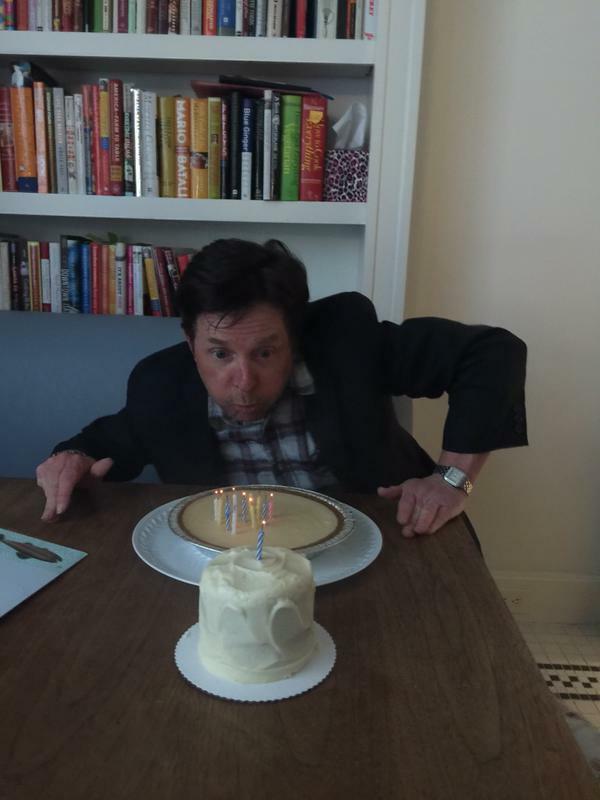 This is a blog about Michael J Fox – written on the occasion of his 54th birthday. Congratulation and happy birthday Mr. Fox! May you be blessed with many more! Thanks for all that you have done, and continue to do, for the PD community. But, this isn’t really a blog about Michael J Fox. He and his Foundation, to say nothing of his legion of fans, have a corner on that market. This is more of a blog about the cult of Michael J Fox, or, to be more precise, the cult of celebrity of Michael J Fox, as well as others. A few weeks ago, someone posted online a Wikipedia list of “Famous People with Parkinson’s Disease”. It’s author seems to have conducted a significant amount of work to reference persons – both living and dead – who have had their life impacted by Parkinson’s. Politicians, actors, singers, professional athletes, authors – wow, they’re all there! Pretty impressive! Yet, I must confess, I found the list to actually be quite off-putting. I couldn’t make my way through the entire list but found myself skimming through the listings to get to the end and try to see the point. There wasn’t one though I’m sure one was implied. The thing about celebrities “coming out” with a particular condition or cause is that it can be such an alluring way of getting attention for one’s condition or cause. Clearly, Parkinson’s Disease would not have been in the public eye without the attention drawn by the aforementioned Mr. Fox. Lance Armstrong did much the same for cancer as did Bob Geldof for African relief. I would concur that there are many benefits to having this type of association though, as was the case with drug scandal surrounding Mr. Armstrong, the cause can be left vulnerable to the words and/or deeds of one individual. Still, perhaps it’s a risk worth taking. What perturbed me more about this list was the very fact that a “selection” was made and it was deemed worthy of publication. First, every week I meet new people with Parkinson’s. These are folks who are living with the disease. Their symptoms vary, as do their backgrounds, family situations, and support systems. Some have lived but a few short months with PD, some for many more years than I. Some are much more advanced in their condition, some less so. Yet, to a person, I am sure that not one of these folks have anywhere near the resources a “celebrity” has at their disposal to combat their condition. Further, the fact that someone with PD on this list was a “radio announcer” or a “reporter” or a “cyclist” suggests there is more inherent value in their work than others. Frankly, as a former teacher, I know many more people working in that profession (as well as many more of the helping professions) that are more deserving of recognition for the contribution they make to our society than many of these “celebrities”. So, today, while Michael J Fox celebrates his birthday, I wish him well. But my thoughts are with Sam – a 77 year-old man diagnosed with PD just 2 1/2 years ago whom I met through my dance class. The last few months have not been good to Sam – he’s lost a lot of weight, his dyskinesia has dramatically increased, he is suffering from some cognitive issues, his speech has become weaker, and his mobility has been significantly impaired. Fortunately, he has a caring partner who is very supportive though he will undoubtedly be challenged as time go by. These are the kind of people we need to make lists of. These are the people whose stories we need to hear. These are the kind of people we need to support. Let’s celebrate their lives – these everyday celebrities! living with Parkinson's Disease…and more!